Properties in Cape Winelands average 4.7 out of 5 stars. Property 7: Your home away from home! Property 9: Las Vegas at De Kraal Estate ... ideal starting point for Golfers! 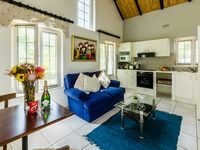 Bleu Cobalt Cottage is a lovely and private self-catering cottage. Property 10: Bleu Cobalt Cottage is a lovely and private self-catering cottage. 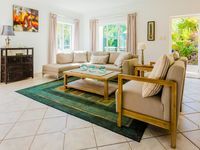 Property 13: Cycad House @ De Kraal Estate ... ideal starting point for Golfers! Property 15: Jacaranda Cottage @ De Kraal Estate ... ideal starting point for golfers! Property 18: Lemon Tree Cottage @ De Kraal Estate ... ideal starting point for golfers!